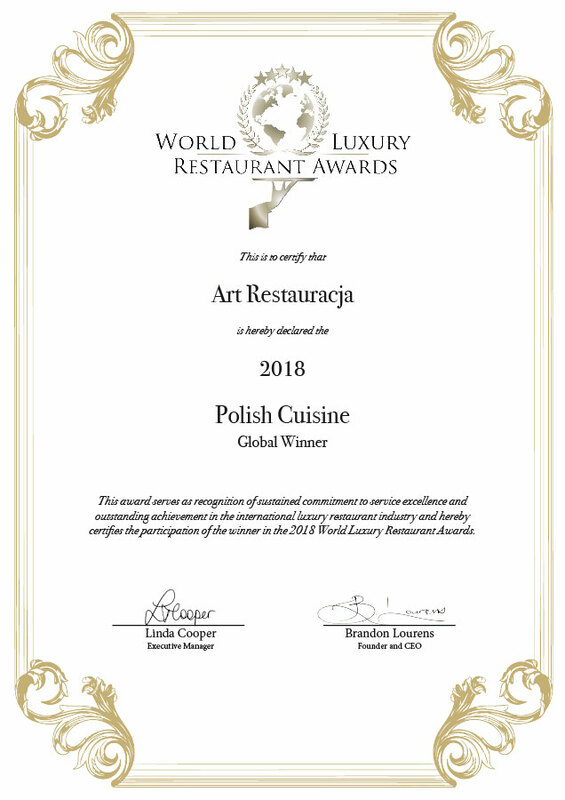 Creative and innovative ideas of our Chefs applying various techniques and ways of preparing dishes will help you discover the Polish cuisine anew. Every day from: 6 p.m, last order at: 9.00 p.m.
**Lunch menu not available: 01-05.2019, 20-23.06.2019. Last order for tasting menu 9 p.m. Commonly accepted 10% tip is not included in the price and will be added to your bill. The tip is voluntary. If you are not satisfied with the service, please do not pay it. *Estimated price in EUR is quoted according to the exchange rate 1 EUR = 4,40 PLN. Account will be charged in the local currency. Rynek sp. z o.o. sp. k.